Sun-bathing seems like a fun idea but only on moderation. Due to pollution, the ozone layer is near to depletion and the direct UV-rays are far from safe to tan under. 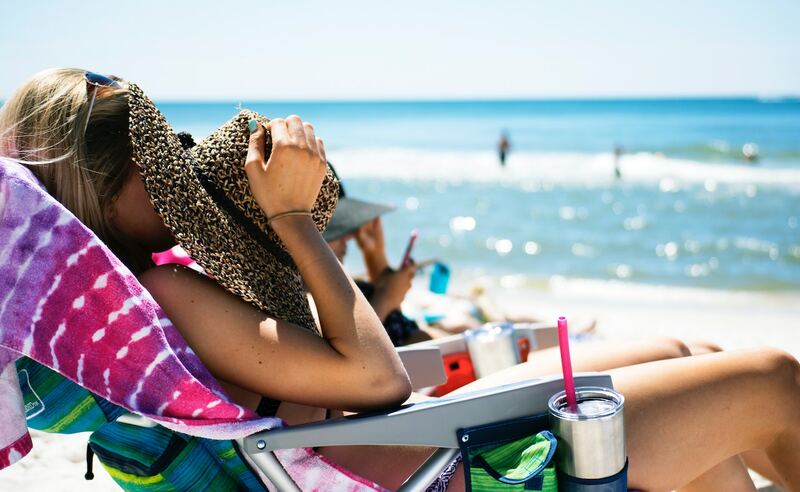 Yes, we can always try for tanning-booths, but where is the fun of being outdoors with friends and enjoying a day at the beach? Prolonged tanning can harm the skin, causing problems that take quite long to recover from. The rays can be quite harmful to a point of contacting skin cancer. Following are 10 effective sun-tan removal blends that use natural products only! Lemon juice added in rose water and cucumber paste can effectively remove tan from the face. Being rich in protein, red lentin can provide nutriment to the skin as well as, remove tan naturally while taking care of darker spots on the face. Aloe-vera cures the damage of the sun-burn and soothes the skin while tomato, an astringent, flushes off dirt from the pores and refreshes the face. Bengal flour is known to radiate skin and give a healthy glow to the skin. Turmeric is a natural bleaching agent for the skin and is known to provide a glimmer to the skin. Yogurt reduces sun tan naturally from the skin. Tomato provides a healthy glow to the skin. Honey softens the skin from the harsh rays of the sun and prevents drying of skin. Enzymes in papaya exfoliates and scrubs off the tan while giving a radiant glow the face. Oatmeal is a natural skin-scrub that removes dead or tanned skin, giving a fresh feel. Buttermilk soothes the scrubbed skin, curing and cooling the skin down. Pineapple has anti-oxidants and enzymes that aid in removing dead cells and bleaching the skin naturally. Honey soothes the face and softens it. Apply it on the tanned areas and let it stay for 20 minutes. Strawberry reduces pigmentation and oiliness from the skin. I also scrubs off dead cells. Milk improves the skin tone. Add this to the affected areas of the face, letting it say or 30 minutes. Sandalwood is naturally effective in soothing the skin by removing sunburns. Coconut water removes blemishes and pigmentation from affected skin. In case of any of the ingredients pertaining to allergies, consult a dermatologist immediately.